Co.Design recently described how Apple is increasingly making its products harder to use–if easier to sell. I agree with the premise, but I think there’s more to the story. Poor design or not, Apple is stuck in a hardware cycle while the rest of us are living in a software world. And to escape it, the company will need to come up with a new way to sell a product that, increasingly, matters more than phones do: software. Since 2007, the story of Apple has revolved around the release of a new iPhone. For the past 10 years, the press has breathlessly reported on the updated design, and we reliably rush to the mall to buy the new model. And yet, the last several models have failed to get the same kind of attention. The change from the 7 to the 8 was practically nonexistent. The X hardware was a departure from past models because of its bevel-to-bevel screen and the lack of the home button. And yet beyond that, Apple seems to have run out of ways to make the hardware surprising and special. The software, however, is a different story. Each iOS upgrade has had interesting and worthwhile improvements. Put simply, the most significant changes from Apple are now happening through software updates. This is true for many brands other than Apple as well. It’s no wonder the company is stuck. 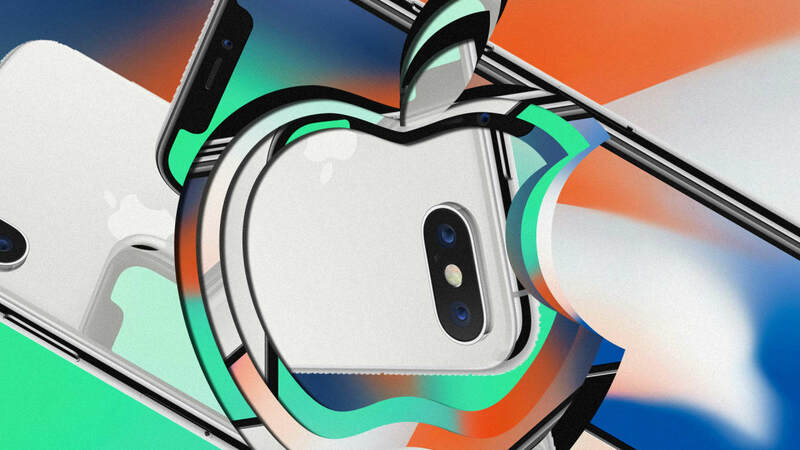 Apple has spent years selling the hardware story, and it has trained its customers to purchase in this generational hardware cycle. But it’s beginning to backfire. New iPhone purchases and hardware upgrades are leaving more customers with a collective sigh of disappointment. Changing this dynamic won’t be easy. Sales and marketing is a big reason why hardware sales have been so successful, and it’s been going on for a long time. You might recall a mid-1990s software project between IBM and Apple called OpenDoc. The idea was that you could open a blank document or project and call upon various functions as you needed them. Need text? The program would surface Word tools. Want to add a spreadsheet? You could access Excel. Images could be edited by opening Photoshop. And so on. It was efficient and slick, but it didn’t work in large part because its central innovation ran counter to the way software was packaged and sold–software companies made more money by marketing Word or Excel or Adobe as separate individual packages. In fact, many vendors refused to get on board simply because they did not want to change the way they sold their software. Today, that dynamic has evolved–yet you still have to subscribe to MS Office or the Adobe toolset separately. It’s an efficient marketing strategy. The OpenDoc project was arguably a better design for an OS, but it failed because it couldn’t be marketed effectively. Fast forward to today, and we see once again that the way a company sells its products determines the way they’re designed. And this time it’s causing many in the computing industry to run out of breakthrough ideas. Apple’s challenge with this is particularly acute. Apple is selling hardware because it’s easy to put in a box, and then sell in a generational way. It’s done a great job of it. A new iPhone release is an event. They’re marketed like movies. Boxes are put on shelves. We buy those boxes and then unbox them. The problem is that the products inside those boxes increasingly fall flat because the changes are increasingly unrelated to the hardware–it’s the software. Software is where the real innovation lies, but that is problematic from a marketing perspective because software doesn’t fit into boxes–at least not anymore. This is not Apple’s problem alone. There’s much talk in the design community about deploying new forms of computing–for example, systems that operate at a room-scale rather than as individual devices. In this example, arrays of sensors, displays, and computing resources work in tandem to create an experience that operates alongside us as part of our environment. But this type of computing doesn’t easily fit into a box. It’s like trying to sell electricity for the home. You don’t purchase that capability in a box. It comes through an infrastructure of providers, installers, and standards, eventually becoming a home that is wired and connected. The same will be needed for room-scale computing to succeed. It’s one of many examples of how computing must change to continue to improve and enrich our lives. And it won’t happen if we don’t change how we market and sell it. Apple has long led the way into the future with new forms of computing, but we are increasingly wondering why it’s stuck. I believe the problem stems from its focus on hardware over software. And unless it can move away from creating and marketing clever new devices that it can put in a box, Apple will continue to disappoint.